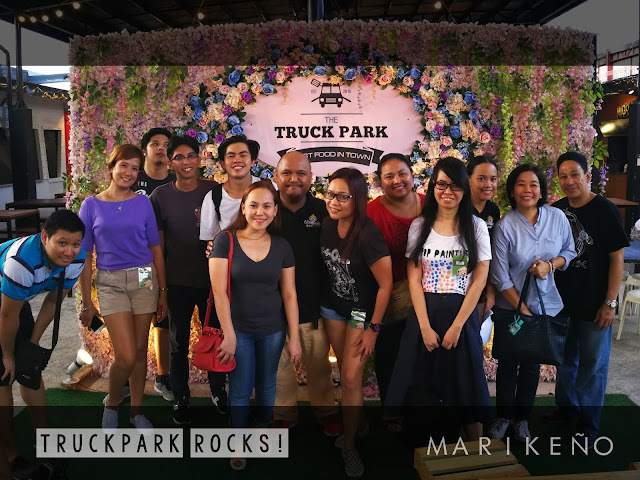 Marikeño has once again dominated the Food Park scene and this time, we visited the biggest and the grandest food park not just in the entire City of Marikina but probably in the entire country. This is the Truck Park everyone. They have over 32 stalls and literally thousands of foods to choose from. You will surely not run out of food here. Since it is a gigantic place to feature, we've invited 12 talented, handsome and gorgeous individuals, together with yours truly, to try their 13 most popular foods. With their help, we have totally invaded the Truck Park. So come one, come all. Let us all attack and get ourselves so full. 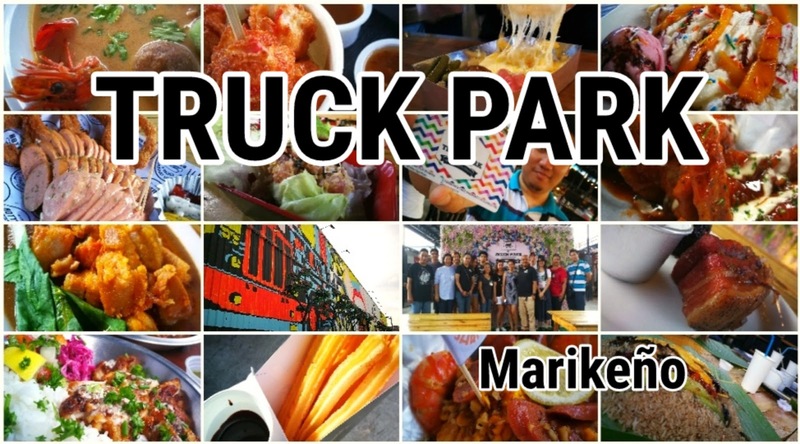 The Truck Park is owned and managed by Xavier and his business partner., William. Both grew up in Marikina. They have decided to build the Truck Park along Gil Fernando, an up-and-coming long stretch of food and booze joint. Gil Fernando was actually the "It" place where food scene first started and was the original location for Hapag Kainan, Goto Park, Tapsi ni Vivian and other local entertainment places. Xavier got the idea during his recent trip to South Korea's Common Ground which is Korea's first ever pop-up store built with shipping containers. 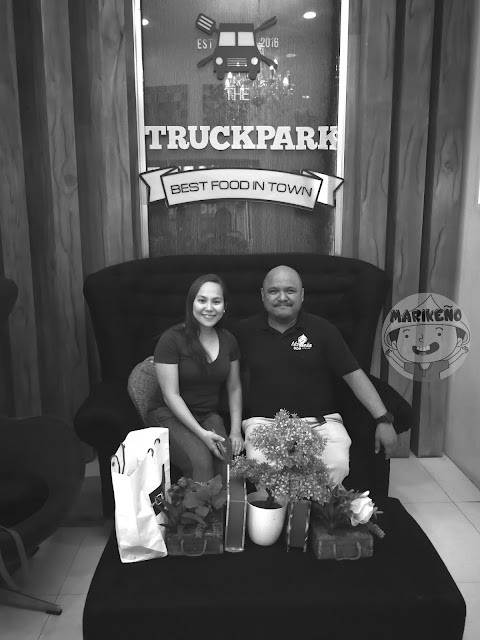 Which that idea in mind, he came back home and thought of making one gigantic food park within Marikina made out of one monster shipping container, instead of multiple containers. 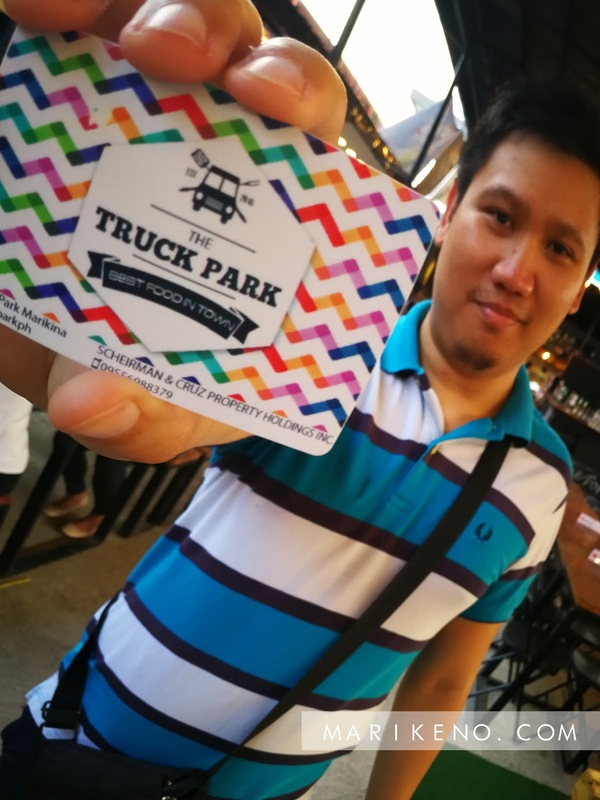 The Truck Park offers cashless payment system, a first ever in the city. 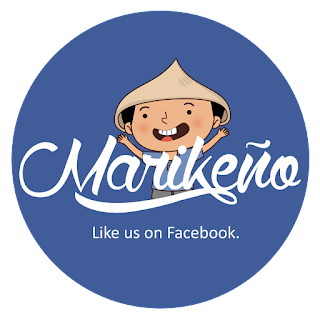 Simply pay Php50 for the card which is refundable when you return it. You will use the card to purchase any food within the food park. You can load it with any amount you like and it does not expire. You can have your balance checked in any stores inside the Truck Park. They have a total of three loading cashiers. Only cashless payments through the card payment system are accepted. 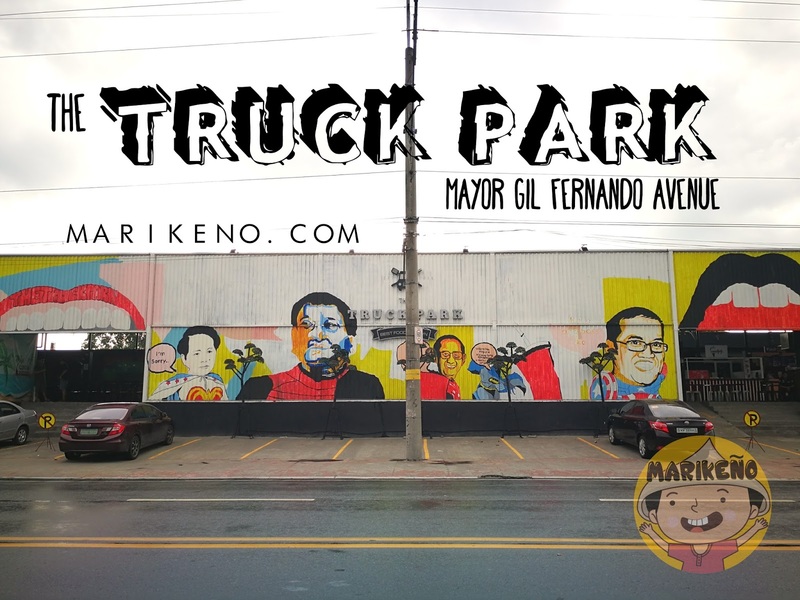 The Truck Park owners were actually surprised that other food parks sprouted like mushrooms along Gil Fernando and that the competition is so stiff. 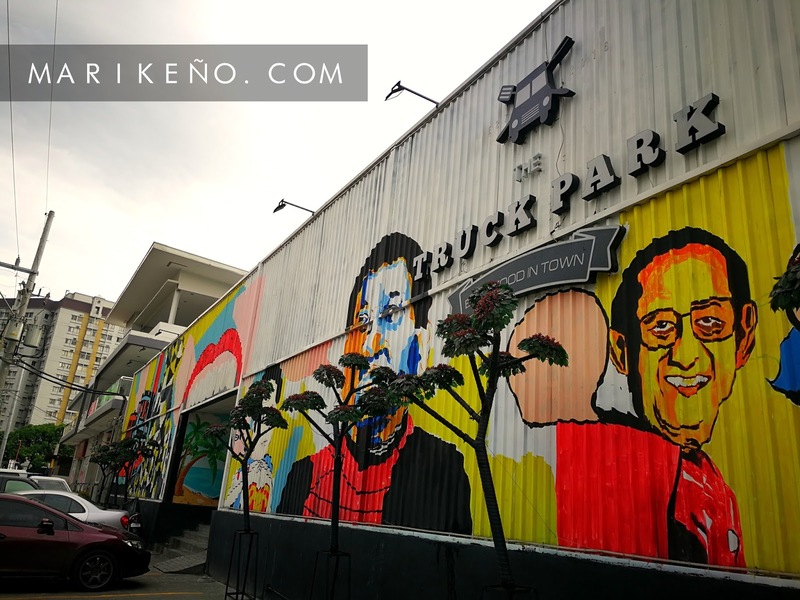 On the other hand, Xavier realized that having four food parks on that same street is actually beneficial to all of them owners since the street becomes popular for food park hopping. So how did they choose their tenants? One stall has to be different from the others. They do not want them to have direct competition since they are too many tenants at the food park already. How do they keep up with all the competitions? 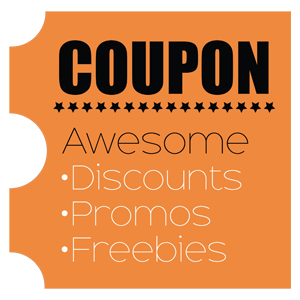 They do online marketing and weekly events to attract more customers like acoustic nights, Mothers/Fathers Day, Valentines Day events, etc. What sets them apart from other food parks? 1. Cashless payment system: it makes the transaction a lot faster. 2. They are rainproof: no need to worry about getting wet during the rainy season. 3. They have a really big parking lot. Total land area of the park is 1,500 sq. meters and their front is their main parking. Right across the building is their temporary parking lot. 4. Toilet Lounge: they offer comfortable and classy lounge for customers using their free toilet. 5. Grand facade and interior: designed and painted by a group of fine arts students from UP Diliman. Theme is unity, despite the images of current and past Philippine presidents. Interior design is industrial and raw. What people should expect from them in the years to come? Expect new and more explosive foods. And more activities for friends and families to enjoy. So everyone, here are our Top 13 Foods at The Truck Park.